If a camping trip to Oregon is in your future, if you want to go where horses are welcomed, or if you're looking for someplace new to go, check out the L.L. 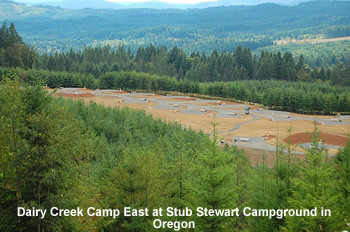 Stub Stewart State Park, Oregon's newest state park, which opened to the public July 8, 2007. 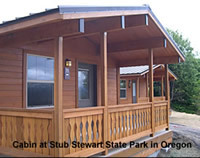 The park is named after L.L "Stub" Stewart, a lumber company owner and state legislator, whose commitment to Oregon's State Parks helped them to grow by "leaps and bounds" during the nearly 40 years he served on Oregon's Park Commissions. 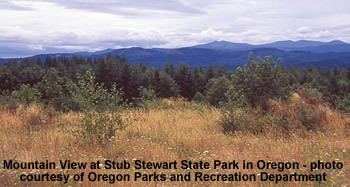 The park is located 31 miles west of Portland in the northwest corner of Oregon at 30380 NW Hwy 47, Buxton, Oregon. To make reservations for the cabins or campsites call 1.800.452.5687 or go to ReserveAmerica, except for Hares Canyon Horse Camp reservations. Current expansion plans for the park include adding group camping areas, a group lodge, a star gazing tower, more trails and more cabins. 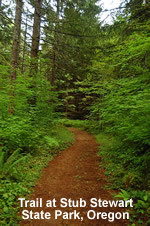 For more information about the park call 1.800.551.6949 or visit the official website.